In Alberta, the same law largely governs all these types of claims, the Occupiers’ Liability Act, RSA 2000, c O-4. Section 5 of this Act states: An occupier of premises owes a duty to every visitor on the occupier’s premises to take such care as in all the circumstances of the case is reasonable to see that the visitor will be reasonably safe in using the premises for the purposes for which the visitor is invited or permitted by the occupier to be there or is permitted by law to be there. Justice Campbell stated at paragraph 66 of the decision that “It is a question of fact in the particular case as to whether an occupier was negligent or failed in its affirmative duty to take reasonable steps to protect those who enter their premises reasonably safe from foreseeable harm.” He cites an Alberta Court of Appeal decision in Anderson v. Canada Safeway Ltd, 2004 ABCA 239, 357 AR 6 , which holds that the business is not an insurer for every visitor, but it must show that it kept its property safe to visitors if it is to escape liability. Second, that it actually adhered to and followed that system. If the occupier fails to establish either or both of those two elements and a hazard develops that harms a visitor, then the occupier will be held liable for the harm occasioned. He cites Heard v. Canada Safeway Ltd,  A.J. No. 790; 2008 ABQB 439, para 58. (h) the employees were trained to constantly look at the floor for any hazards. If a defendant can show that these or similar requirements were met, as applicable, they will be held to have met their standard of care, and the injured victim will not be successful in their claim for damages. In the Provincial Court of Alberta, the case of Axani v. QSR Edmonton Ltd., 2004 ABPC 230 established that an hourly sweep program meets the standard of care for floor maintenance in a supermarket. In conclusion, while the use of cleaning log is a strong indication that the occupier did what was reasonable to keep the property safe, it is not determinative of the issue; it still must be proven in court. 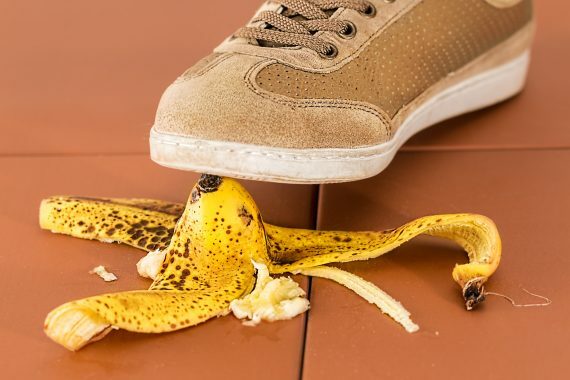 It will certainly make proving liability more difficult for the injured victim, but not impossible, as demonstrated in the cases mentioned above.